Even a most faithful friend might go away when misunderstanding pops into their friendship. Dollar Right, the most innovative and creative boy who plans and does his work to keep his daily life interesting. Bash, the strong boy who hits and then speaks. Repy, the intelligent and brilliant girl who thinks twice before doing anything. This is all about these three friends, who are just the teenagers managing to win some competitions and ending up to be the saviours of the world. Later under some unavoidable circumstances these three gets separated due to misunderstanding. From nothing to lose situation, Dollar Right manages to stand at the edge of the world and comes back with few adventures to save his friends and save the world. How he is coming out of his own trouble and how he is going to make his friends understand is the story all about. Remember Karthi. Life doesn't end with death. Love doesn't end with death. Love is eternal! These are the last words, which Karthi's grandfather, Bala says to him, which makes him think about love again and again. 'Love' for people living in 2060 has become a temporary emotion. Bala, a 69 year old, dies with grief in a few hours after his wife's death. Karthi,being so close to his grandparents, decides to explore about their love and reaches out to Bala's friends along with his friends Ramesh and Sharaz. Will Karthi and his friends get to know the story completely or will end up missing a few pieces of the puzzle? Will they get to know the meaning of Love?Will all their questions be answered? ​Will Karthi find the exact reason behind his grandfather's final words and fulfil his grandmother's last wish? 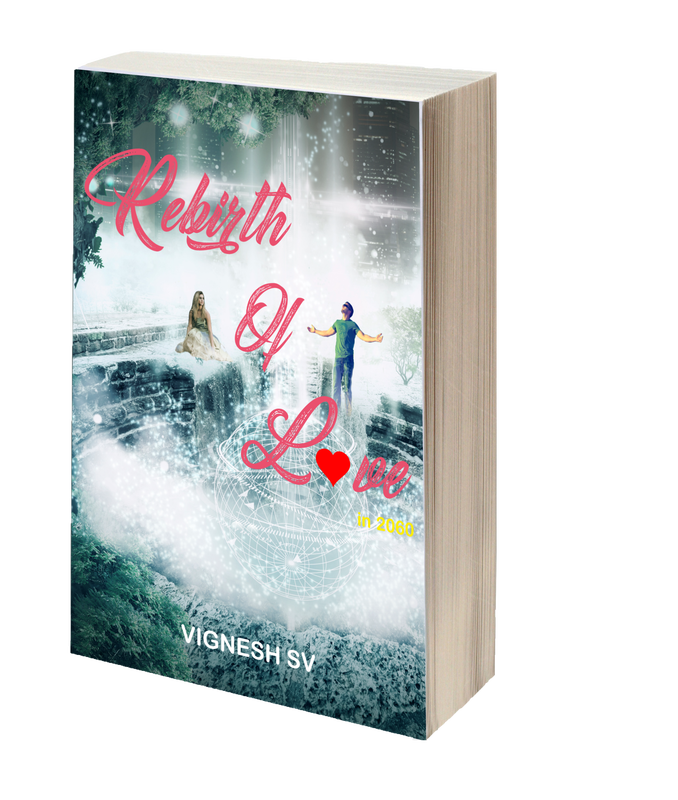 Rebirth of Love in 2060 is a story of pure love, friendship, hatred and some major twists.